Running of the Bulls, Inc. the largest tour operator in Pamplona, Spain, announces packages customized to the needs of cruise ship passengers arriving and departing from Barcelona and Bilbao. The Running of the Bulls in Pamplona offers the perfect pre- or post-cruise stopover. 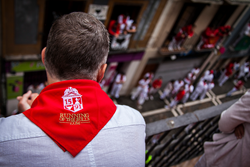 Through its RunningoftheBulls.travel brand, RunningoftheBulls, Inc. has announced support for cruise ship passengers arriving or departing from Bilbao and Barcelona - making it easy to enjoy the Running of the Bulls, and the San Fermin Festival. As the largest tour operator at the Running of the Bulls, the company offers over 2,000 balcony spots from which to view the bulls run through the streets of Pamplona, and over 1,000 tickets to the bullfights held each afternoon. A major source of international tourist traffic to Spain, the port of Barcelona hosts over 3.6 million cruise passengers a year, and Bilbao's growing cruise traffic is now more than 180,000 passengers a year. Mark Hellmann Regouby, President of Running of the Bulls, Inc. said, "Bilbao is just 2 hours from Pamplona, and Barcelona is only 4 hours away. Given their proximity, it makes perfect sense to make The Running of the Bulls® a pre- or post-cruise trip extension." 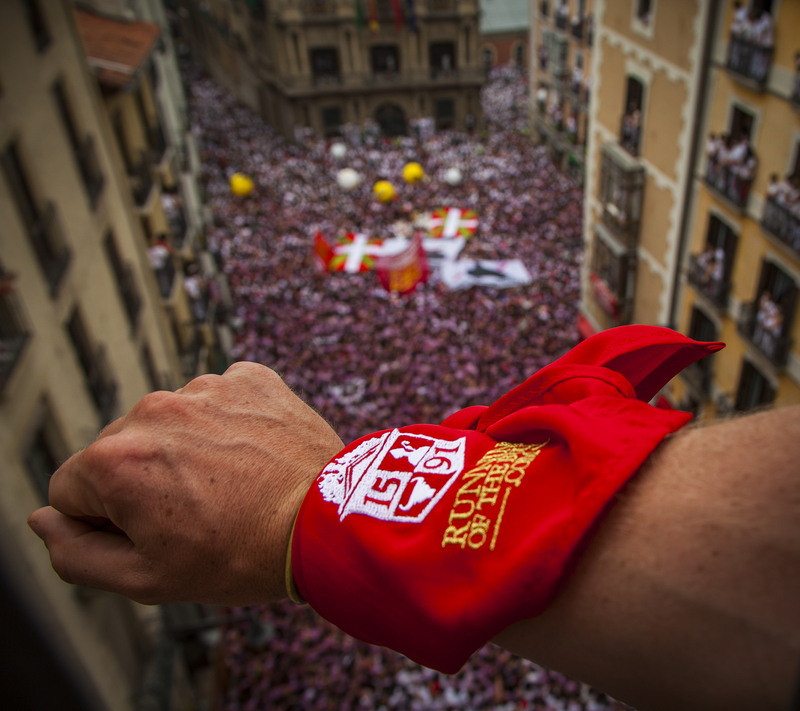 Running of the Bulls, Inc. offers Pamplona Tour Packages that include Pamplona Hotels, Bull Run Balconies, Pamplona Bullfight Tickets, and transfers to and from Pamplona. "These new packages were designed with the cruiser in-mind. Having spent 17 years in the cruise industry, I understand how important it is to make the land programs match up seamlessly with a guest's on-bard experience," commented Laura Hummel, Manager of Sales & Guest Service for the company. "We can have a car meet out guests at the cruise terminal and take them directly to their hotel in Pamplona, eliminating cumbersome taxi, rail, and bus transfers. We consistently hear from our clients how surprised they are at the easy access to Pamplona," she continued. Packages can be customizes for cruise guests to match their travel dates and desired amenities. Optional trips like Cathedral Tours, Torero Training & Bull Ranch Tour are also available to cruisers under the Pamplona Tours section of the web site. "We strive to offer the best Customization, Choice and Service to our guests coming to Pamplona. We think our cruise guests will be pleased with the level of attention, creativity and forethought that has been put into their trip," commented Hellmann Regouby. The mission of Running of the Bulls, Inc. is to promote the fiesta abroad, educate runners and tourists, attract sponsors to the event, coordinate corporate hospitality and media coverage, and facilitate access to travel and tourism services. The company recently was awarded the Trip Advisor Certificate of Excellence and an A Rating from the Better Business Bureau. Guests watch the July 6th Opening Ceremonies from a Penthouse TerraceRunning of the Bulls, Inc. hosts private parties all around the Plaza Consistorial in Pamplona, Spain for the Opening Ceremonies Running of the Bulls, Inc. LogoRunning of the Bulls, Inc. Logo Opening Ceremonies of the San Fermin Festival and the Running of the Bulls™July 6th marks the beginning of the World's Largest Fiesta™ in Pamplona, Spain, which plays host to the Running of the Bulls each morning at 8:00a.m. from July 7th through July 14th.